In March 2006 the Cyprus Shipping Chamber launched the “Cyprus Shipping Public Relations Campaign” with the official approval of the Ministry of Communications and Works and the Ministry of Education and Culture. The aim of the Campaign is to highlight the positive side and benefits of Shipping and its huge contribution to the society in Cyprus. One aspect of the Campaign is the “Educational Activities” which concentrates on the promotion to schools of the employment opportunities that exist in the Shipping Industry, through the organisation of presentations, visits to shipping companies, and vessels etc. 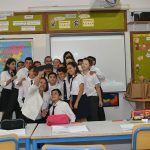 A specific project of the Educational Activities is the “Adopt-a-Ship” Programme which is organized in close Cooperation with the Cyprus Marine Environment Protection Association (CYMEPA). 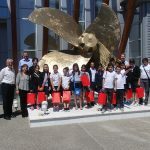 The aim of the Programme is to assign to a number of primary schools’ classrooms particular vessels for email communication between the children and the masters and crew of the vessels. A world map is provided to all classes participating in the Programme in order to keep track of the vessel’s voyage. This Programme had a huge success through the years. 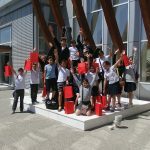 The communication between the classroom and the vessel was excellent due to the great interest and enthusiasm shown by both the children and the crew. 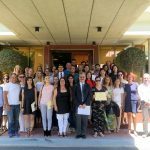 In the academic year 2012-2013, 44 schools on a Pancyprian basis and 44 ships operated by Members of the Chamber participated in the Programme. P.s Applications to participate in the “Adopt a Ship” Programme start in September and end in December every year.